Visitors to Prague cannot fail to be struck by the number of monuments and locations that bear the name ‘Charles’. They include the city’s mediaeval university, its largest public square, and of course its magnificent stone bridge: three distinct elements of the city’s infrastructure which owe their existence to one man. The Charles in question was born on 14 May 1316 — most likely in the House of the Stone Bell in the Old Town Square — the son of John of Luxembourg and Elizabeth of Bohemia. 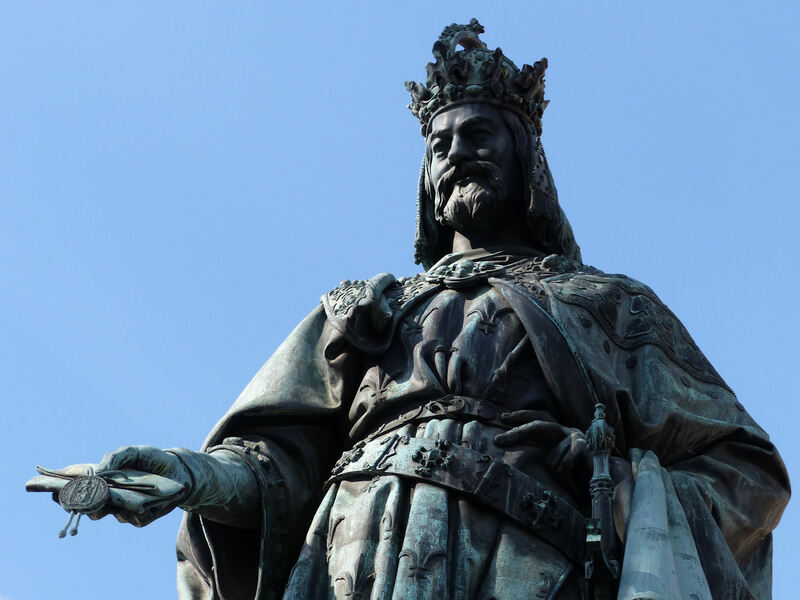 Following his father’s death at the battle of Crécy, the thirty-year-old inherited his father’s titles, among them the Kingdom of Bohemia, and he was crowned in September 1347 at the cathedral of Saint Vitus. In a PR coup probably engineered by Charles himself, he carried a pair of humble ploughman’s shoes to his coronation, to remind onlookers of his ties (through his mother) with the ancient ruling dynasty of the Přemysls. Within a year he had founded a major university to rival that at Paris, and laid out plans to expand Prague well beyond its mediaeval core. As the architect of this grand scheme he chose the young German architect Peter Parler, whom he also commissioned to complete the work of Matthew of Arras at the cathedral. 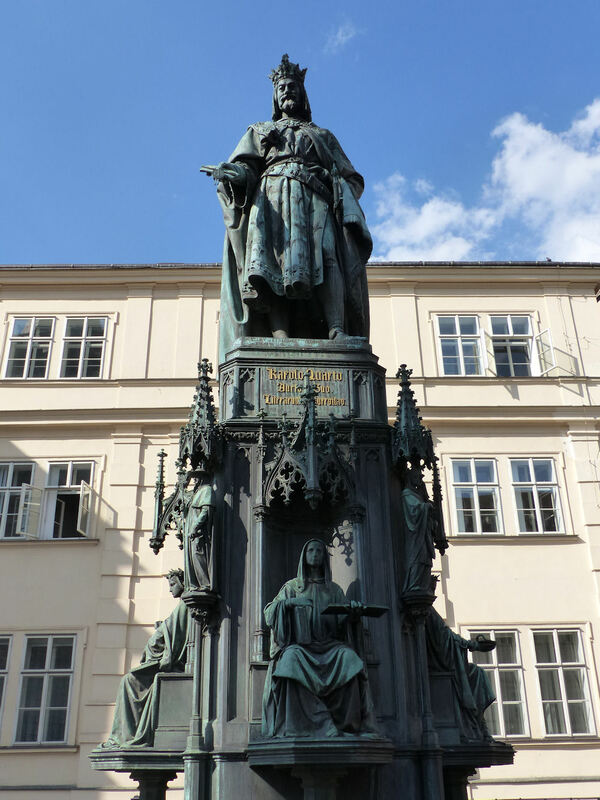 More importantly for the future development of the city, Charles’s election as Holy Roman Emperor in 1355 put Prague firmly at the centre of European affairs and commerce. His reconstruction in 1357 of the town’s main bridge was both necessary (the previous crossing having been washed away by a flood) and symbolic. 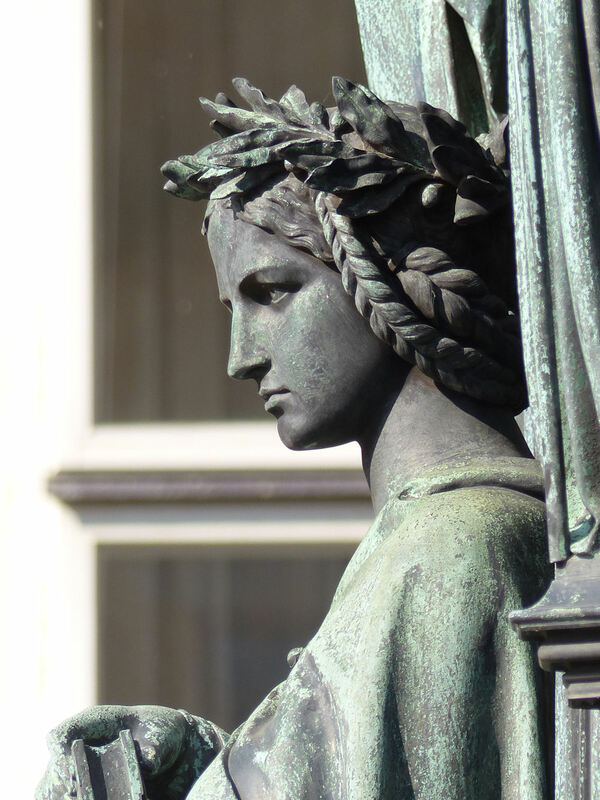 In 1848, the 500th anniversary of Charles University, this imposing statue in the gothic style by the Dresden-born sculptor Ernst Julius Hähnel was erected at the south end of the bridge. 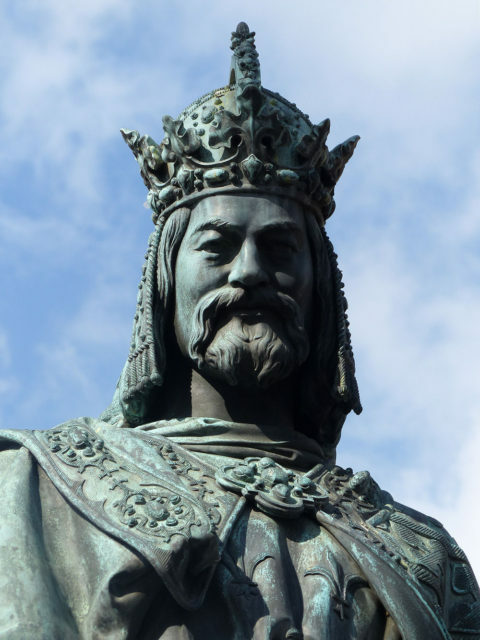 It shows Charles IV in a majestic pose, holding in his right hand the imperial bull granting the charter. Below him sit allegories of the university’s four faculties of law, the arts, theology and medicine.